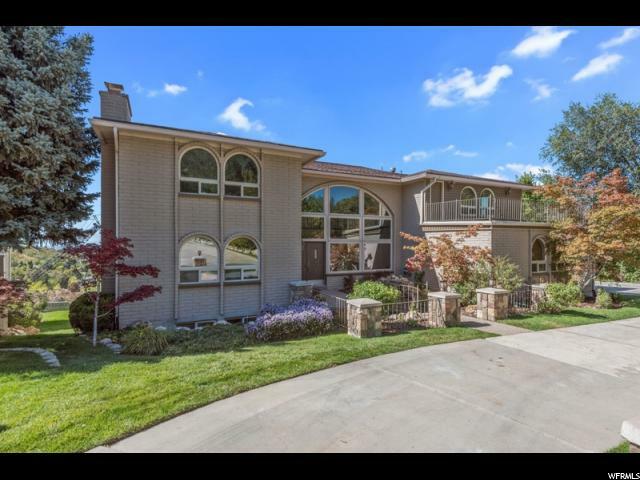 All Cottonwood Heights homes currently listed for sale in Cottonwood Heights as of 04/21/2019 are shown below. You can change the search criteria at any time by pressing the 'Change Search' button below. If you have any questions or you would like more information about any Cottonwood Heights homes for sale or other Cottonwood Heights real estate, please contact us and one of our knowledgeable Cottonwood Heights REALTORS® would be pleased to assist you. "Luxury, design, and privacy at its finest. On a breathtaking 1.56-acre lot near the end of a private lane with a gated entrance, this one-of-a-kind home sits in a little-known wooded area that regularly draws compliments on its location, design and craftsmanship. 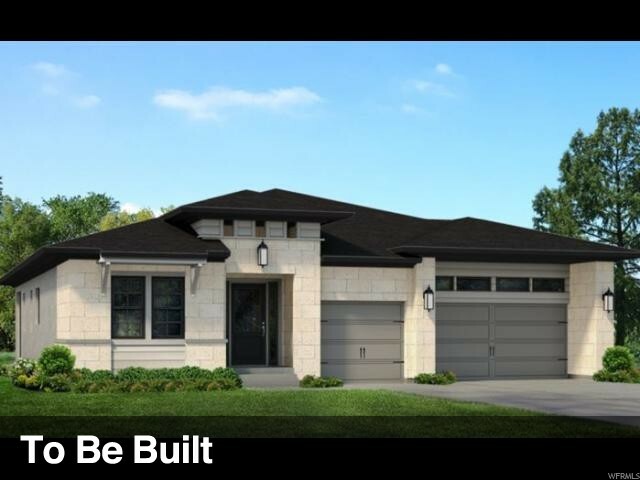 Park your car in the four-car garage, step across the threshold, and take a moment to bask in the aesthetic opulence that flows freely through every room; from the entryway, formal dining room, library, office, master bedroom (with 2 walk-in closets and a private patio), and theater room. This home features an open-concept design on the main floor living area and includes a formal dining room, study, library, wet bar and extra large kitchen with high-end stainless steel appliances. Walk with pride across travertine & hand scraped hickory wood floors, enjoy custom cabinets and a modern heated driveway and walkway to the front door. This home also boasts a detached art studio with air conditioning, half bath, large exhaust vent hood and wiring/gas line for a kiln, so if you've got a creative spirit, this is the place to let it run wild. Your personal art studio is attached to the master bedroom and main house through a breezeway and wraparound patio. Other comforts this stylish home includes are: an internal sound & intercom system, and a temperature-controlled wine cellar or food storage room. All four bedrooms downstairs have walk-in closets and a separate game/recreational area. The possibility for fun is endless with an emergency backup generator, salt water pool and hot tub, greenhouse, garden boxes, chicken coop. This unique home also has a separate one-bedroom mother-in-law suite with its own private entrance, washer and dryer, air-conditioning, a private patio, and two separate entrances: one from the garage/ north side of the home. This home was built with lasting value of a forever home in mind. Square footage figures are provided as a courtesy estimate only and were obtained from blue prints. Bu"
"UNIQUE TURNKEY OPPORTUNITY! Property comes fully furnished and the existing licensing for a 17 bed In-patient Residential Treatment Center may be possible to transfer, fast tracking the process to open for business and saving a new owner/operator many months of time and expense.For 17 years, this luxury estate operated as a high end residential treatment center and was a place of peace and healing for all entered. The one acre grounds will welcome you with its meandering streams, waterfalls, and inviting sacred spaces for meditation and contemplation. The outdoor space has facilitated many gatherings of connection, sharing, and self-love. A sweat lodge was assembled for deep inner work. The walls of this home have been witness of incredible growth and transformation... lives have been changed and families healed. Other potential uses include Bed & Breakfast, Assisted Living Center, or... the perfect home for a large family. This truly is a rare opportunity that is worth your consideration! Also available for Lease $18,000/month"
"One of the most charming estates in the valley. This sprawling remodeled rambler sits on over 1 acre lot nestled on Little Cottonwood Creek down a tree lined private lane. The large master suite compares to a luxury hotel with spa inspired bathroom which consists of dual vanities, jetted tub and separate shower, and an amazingly large his and her walk-in closet. The formal living room has a grand fireplace and picturesque windows overlooking the meticulously manicured yard and stream. A chef's kitchen is well equipped with Sub Zero refrigerator and Viking gas/stove range. Just off the kitchen is a family room perfect for entertaining. Down the hall are two spacious bedrooms with a Jack and Jill bath, another bedroom, and a main floor office/man cave. Take in the splendor of the outdoor space by enjoying a morning in the front gazebo gazing at the majestic mountain views or spend an evening by the creek roasting marshmallows in the backyard fire pit. You can count your chickens before they hatch inside the cute little chicken coop. An outdoor playhouse can entertain the kids for hours. However, don't stop there. You have to see the above garage craft room that would make a great play room, another office or game room. The home's private setting makes you feel you are living in the country yet you are just 20 minutes to the city, airport, 7 world class ski resorts and dozens of hiking and biking trails. Square footage figures are provided as a courtesy estimate only. Buyer is advised to obtain an independent measurement." "Amazing gated estate on a private lane. Tuscan style with rich woodwork, wide-open spaces and indoor/outdoor living. Elegant formals plus giant family spaces provide large scale entertainment capability. Eight great fireplaces add charm thru-out. The kitchen is massive with deluxe features, exquisite granite slabs and a fabulous island. Family bedrooms are in a private wing. The master is a true suite tucked away under wood plank and beam vaults with a large spa bath. Several den spaces include a two-story, vaulted study with a wet bar and wood plank finishes. A three car heated garage is attached. Detached is an eight car heated garage with a huge loft above. The 20 x 40 pool has access to a wonderful covered cabana with cook center, bar and bath. This place is designed for fun times." "Enjoy this stunning rambler in our BRAND NEW community high on Salt Lake's East bench, just off Wasatch Blvd. We are just minutes away from 4 ski resorts and offer in community access to hiking and biking trails. The MARMOTTAN plan features an open floor plan with plenty of room for entertaining family and friends. 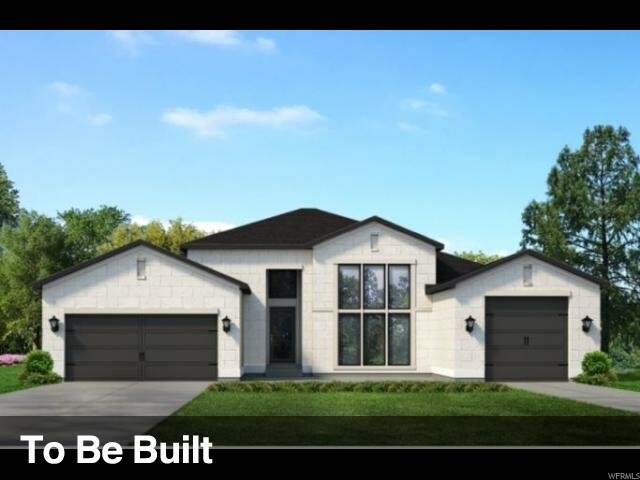 This unique plan has a split garage. Enjoy time around your large kitchen island with professional series Jenn-Air appliances, granite counter tops, and upgraded cabinets. Or, cozy up by your included gas fireplace while you enjoy your bright great room with large windows. Your master suite is truly a retreat with its over sized shower with bench, adult height double vanity sinks and a walk in closet with that has plenty of room for your things! No worries about finishing the basement later, this plan comes with a partially finished basement and we can finish all of the basement for an additional charge if you need the space. All our homes come with 10 ft main floor ceilings, 9 ft. basement foundations. In addition, all our homes come with front and backyard landscaping as well as fenced back yards. This home will be built in our gated Monet neighborhood. Taxes based on Salt Lake County records. Buyer to verify all." "Enjoy this stunning rambler in our BRAND NEW community high on Salt Lake's East bench, just off Wasatch Blvd. We are just minutes away from 4 ski resorts and offer in community access to hiking and biking trails. The JEAN plan features an open floor plan with plenty of room for entertaining family and friends. Enjoy time around your large kitchen island with professional series Jenn-Air appliances, granite counter tops, and upgraded cabinets. Or, cozy up by your included gas fireplace while you enjoy your bright great room with large windows. Your master suite is truly a retreat with its over sized shower with bench, adult height double vanity sinks and a walk in closet with plenty of room! Extra storage area in the garage. Huge covered patio to enjoy the views of our man-made Monet Pond! No worries about finishing the basement later, this plan comes with a partially finished basement. All our homes come with 10 ft main floor ceilings, 9 ft. basement foundations. In addition, all our homes come with front and backyard landscaping as well as fenced back yards. This home will be built in our gated Monet neighborhood. Taxes based on Salt Lake County records. Buyer to verify all." "SELLER TO SUBORDINATE!..Bring your contractor to finish home, payoff seller when completed!! Rare Opportunity to Live Above It All! 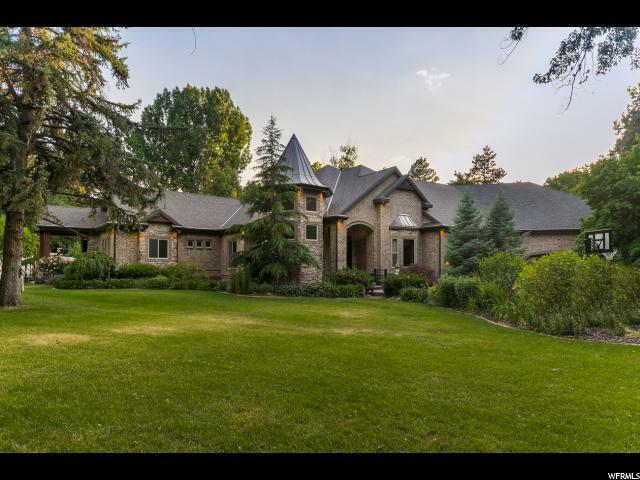 Unbelievable home/homesite in one of the most coveted neighborhoods above Wasatch Blvd, backing the U.S. Forest Service. Situated high above the city, this home easily is one of the highest in elevation on the Wasatch Front, factually minutes from 4 world class ski resorts, nestled in between Big and Little Cottonwood Canyons. Hike out your front door to Ferguson and Deaf Smith Canyons, enjoy the 200 degree view of the entire city from multiple decks and windows stretching from Lone Peak to the University of Utah . 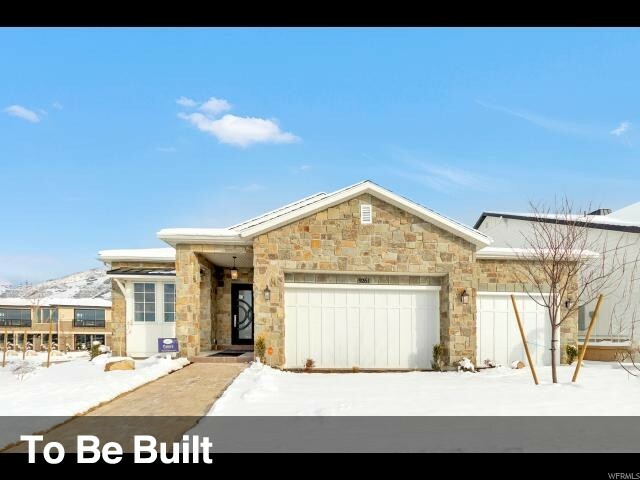 Easy access to freeways and airport, helicopter pad tentatively approved, roughed in for elevator, heated driveway, flat side yard perfect for infinity edge pool overlooking city out to the Oquirrh Mountains. Solid home and structure. Spacious Master Suite over 1400 square feet! 3 new high efficiency furnaces and A/C Units..Home is mid remodel and ready for your finishing touches. Sold AS IS, owner has never occupied property. Buyer to verify all information. " "*Brillant Views from this custom modern mountain home conveniently situated between Big Cottonwood and Little Cottonwood Canyons. *Custom hand scraped white*Brillant Views from this custom modern mountain home conveniently situated between Big Cottonwood and Little Cottonwood Canyons. *Custom hand scraped white oak floors. *10 Minutes from world class skiing, snowboarding, hiking and biking. *Wide open kitchen/great room with vaulted ceilings and floor to ceiling windows. Custom gourmet kitchen perfect for entertaining. *Panoramic mountain views. *5 bedrooms, 5 Bathrooms, 3 Car Garage. 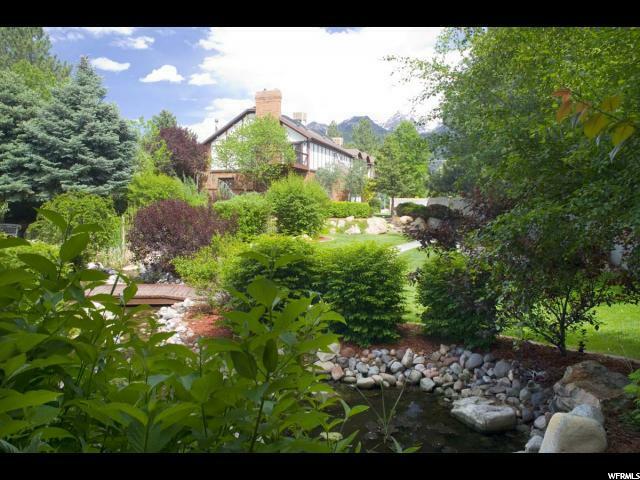 *Private master suite with magnificent mountain views and spa like bath. *Large main floor office with separate entrance can double as second master suite. *Owner is a licensed Real Estate Agent in the state of Utah. oak floors. *10 Minutes from world class skiing, snowboarding, hiking and biking. *Wide open kitchen/great room with vaulted ceilings and floor to ceiling windows. Custom gourmet kitchen perfect for entertaining. *Panoramic mountain views. *5 bedrooms, 5 Bathrooms, 3 Car Garage. *Private master suite with magnificent mountain views and spa like bath. *Large main floor office with separate entrance can double as second master suite. *Owner is a licensed Real Estate Agent in the state of Utah." 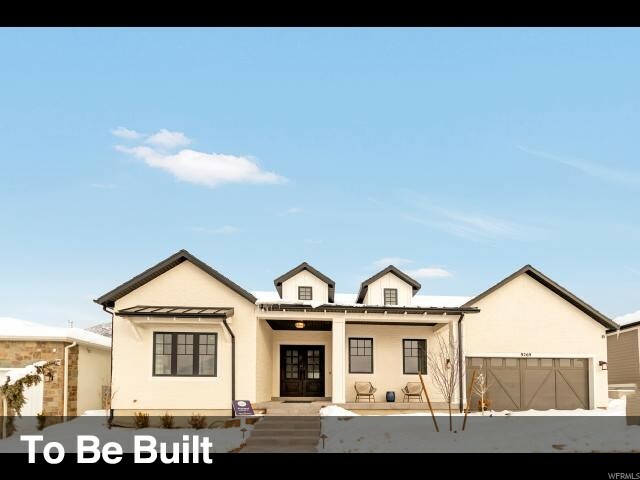 "Enjoy this stunning rambler in our brand new community high on Salt Lake's East bench, just off Wasatch Blvd. We are just minutes away from 4 ski resorts and offer in community access to hiking and biking trails. The HAYSTACK plan features an open floor plan with plenty of room for entertaining family and friends. Enjoy time around your large kitchen island with professional series Jenn-Air appliances, granite counter tops, and beautiful cabinets. Or, cozy up by your included gas fireplace while you enjoy your bright great room with large windows or enjoy time out on your covered patio. Your master suite is truly a retreat with its over sized shower with bench, adult height separate vanity sinks, 6' soaker tub and a walk in closet with enough room for an optional cabinet and bench! No worries about finishing the basement later, this plan comes with a partially finished basement with 1 bedroom, full bath and family room. All our homes come with 10 ft main floor ceilings, 9 ft. basement foundations. In addition, all our homes come with front and backyard landscaping as well as fenced back yards. This home will be built in our gated Monet neighborhood. Taxes based on Salt Lake County Records. Buyer to verify all." "Enjoy this stunning rambler in our brand new community high on Salt Lake's East bench, just off Wasatch Blvd. We are just minutes away from 4 ski resorts and offer in community access to hiking and biking trails. 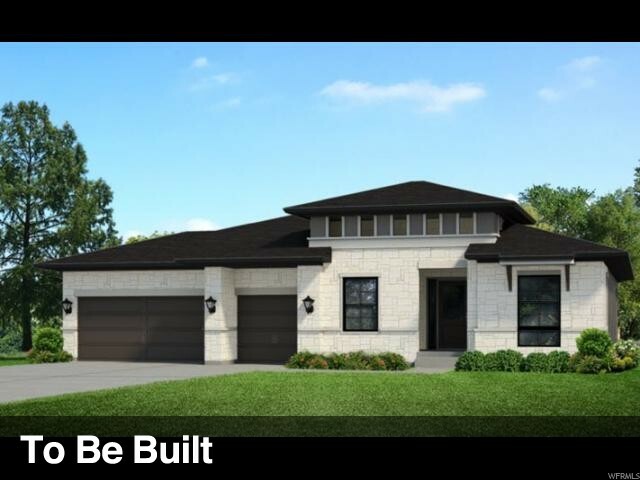 The PARASOL plan features an open floor plan with plenty of room for entertaining family and friends. Enjoy time around your large kitchen island with professional series Jenn-Air appliances, granite counter tops, and beautiful cabinets. Or, cozy up by your included gas fireplace while you enjoy your bright great room with large Anderson 100 windows as you look out onto your 12' x 20' covered patio. Your master suite is truly a retreat with its over sized shower with bench, adult height separate vanity sinks and a walk in closet with plenty of room! This plan comes with a partially finished basement: full bath, huge family room (21' x 33') and 2 bedrooms. Future bedrooms are available to finish if needed.. All our homes come with 10 ft main floor ceilings, 9 ft. basement foundations. In addition, all our homes come with front and backyard landscaping as well as fenced back yards. This home will be built in our gated Monet neighborhood. We have a beautifully decorated Model of this plan. Taxes based on Salt Lake County Records. Buyer to verify all. 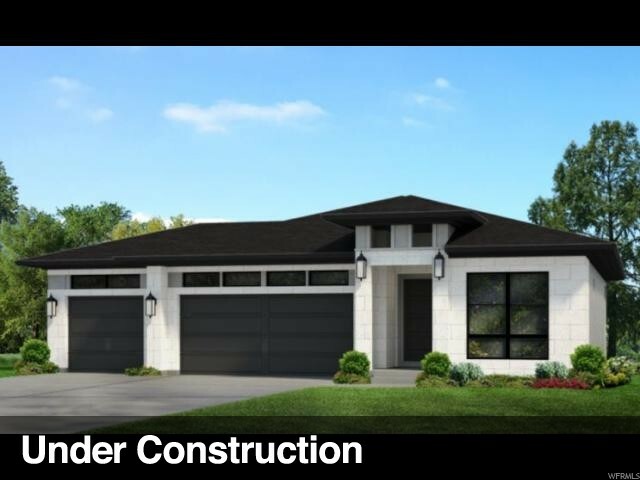 ***Pictures are of Parasol Model Home***"
"Beautifully finished NEW Hanover model ready to move in. Never lived in! Seller transferred for work. Huge expanded Master Bedroom, Quartz counter tops and beautiful laminate hardwood, extended 3rd car garage, Incredible mountain and valley views! " "Welcome to our gated neighborhood: Monet! Luxurious main floor living in every home. Our CAMILLE plan is affordable luxury throughout! Enjoy this stunning rambler in our BRAND NEW community off Wasatch Blvd. We are just minutes away from 4 ski resorts and offer in community access to hiking and biking trails. Enjoy time around your large kitchen island with its gourmet Jenn-Air Professional grade appliances, granite counter tops, and beautiful kitchen cabinets. Or cozy up by your included gas fireplace while you enjoy your bright Great Room with its large windows. Your Master Suite is truly a retreat with its oversized shower with its own bench, adult height separate vanity sinks, elegant 6' long soaking tub and a walk-in closet with plenty of room! A beautiful 2nd bedroom on the main floor is perfect for family or guests and your home office is nicely tucked away for privacy. 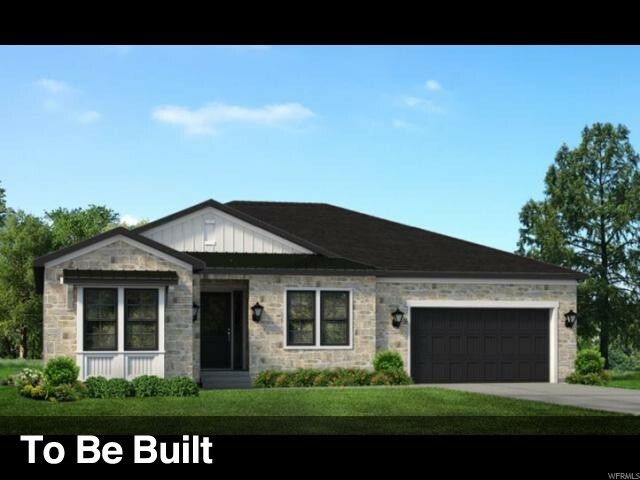 The Camille will come with 2 beds/2 baths and a family room finished in the basement. Price includes lot premium attached to this lot. Taxes based on Salt Lake County records. Buyer to verify all. Call today to learn more and act on our remaining home sites. All of our homes come with 10' main floors and 9' foundation basements. " "****JUST REDUCED!! 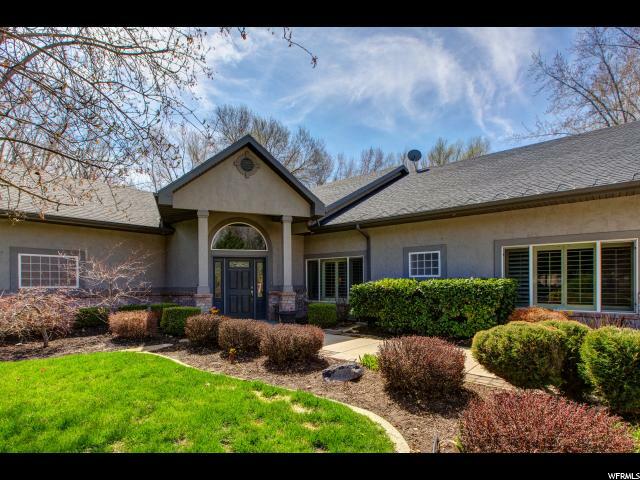 GORGEOUS HOME: 5 BED/5.5 BATHS/3 CAR GARAGE!! READY TO MOVE IN NOW!!! 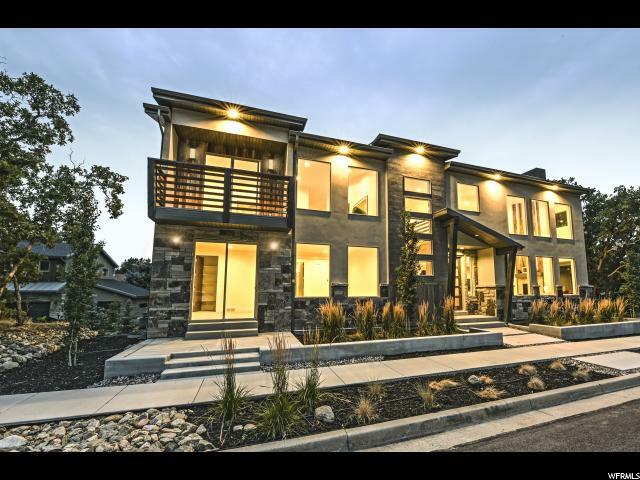 ****Enjoy this beautiful luxurious BRAND NEW 2 story in Cottonwood Heights newest community: Giverny right off Wasatch Blvd! Our Dora Maar plan has space for family, friends and lots of entertaining. This kitchen is AMAZING! Two islands ready for any project you can imagine! Upgraded appliances, counter tops and finishes throughout this beauty. Upstairs each bedroom comes with its own bathroom! Off your Master Suite, enjoy your enclosed Deck and breathtaking views of the Wasatch Mountains and the mouth of Little Cottonwood Canyon. Your family room in the basement has been finished along with your backyard landscaping and fencing. Call and schedule your appointment to see this beautiful home.SF & Tax info given as courtesy only. Buyer to verify all." "Enjoy this stunning rambler in our brand new community high on Salt Lake's East bench, just off Wasatch Blvd. We are just minutes away from 4 ski resorts and offer in community access to hiking and biking trails. The POPPY plan features an open floor plan with plenty of room for entertaining family and friends. Enjoy time around your large kitchen island with professional series Jenn-Air appliances, granite counter tops, and upgraded cabinets. Or, cozy up by your included gas fireplace while you enjoy your bright great room with large windows. Your master suite is truly a retreat with its over sized shower with bench, adult height double vanity sinks and a walk in closet with plenty of room! No worries about finishing the basement later, this plan comes with a partially finished basement. All our homes come with 10 ft main floor ceilings, 9 ft. basement foundations. In addition, all our homes come with front and backyard landscaping as well as fenced back yards. Come visit our beautifully decorated model of this plan! Taxes based on Salt Lake County records. Buyer to verify all." "This elegant Executive Home is nestled high on a hill--incredible panoramic views of the valley, plus dynamic east view of the mountains. Watch the stars and city lights twinkle from the deck every night! Extremely spacious home--great for entertaining! The home has been remodeled head to toe. New custom kitchen with high-end granite counters, stainless steel appliances, and Sub Zero refrigerator. All new bathrooms. Granite counter tops throughout. New hardwood floors. New designer carpet. New high-end, lovely staircase. Owner has poured over $125,000 into this remodel. Fabulous master bath with over-sized shower and Jacuzzi on main level. Or enjoy the second master bedroom and bath on upper level. Three spacious decks plus a lovely sun room. Flowered entry courtyard with water feature and waterfall. Two dishwashers for easy after-party clean-up. Two convenient laundry areas. Summer canyon picnic areas for the family on Big Cottonwood River--5 minutes away! Multiple ski resorts--just 20 minutes away. Three minutes from I-215 for convenient cross-town travel. The million dollar views reach from Point of the Mountain to Antelope Island--relax and enjoy nightly rainbow-colored sunsets over the Wasatch Front Mountain Range! This is a unique, one-of-a-kind home!" "Amazing home, amazing community! East side living at its best! Beautiful brand new Flagstaff Mountain home that features hardwood flooring, quartz kitchen counter tops, covered deck, 9 foot basement walls, custom cabinets with gorgeous wood hood, brushed nickel hardware, stainless steel gas appliances with double oven and a built in fridge, kitchen tile backsplash accent, tile surround work in bathrooms, 2 tone paint, textured walls, modern base and casing and MUCH MORE!!!" "Opportunity Knocks! No time to build your dream home? This Willow Creek area home has so much potential. Large, spacious, open rooms. The amazing footprint is already there. It just needs a few design touches and updating to make it a dream home like the multi-million dollar homes down the street. All bedrooms have walk-in closets and their own baths or share a jack and jill bath. Basement has 9' ceilings and walkout to secluded yard on stream. Roof is less than 2 yrs old. Literally minutes to world class skiing, hiking and biking trails, close to freeway access, schools, (just minutes to Waterford) shopping and more. Square footage figures are provided as a courtesy estimate only . Buyer is advised to obtain an independent measurement"
"This home is under construction! We anticipate this home being finished late Spring 2019!! Limited time to come make Design selections for this beautiful home! 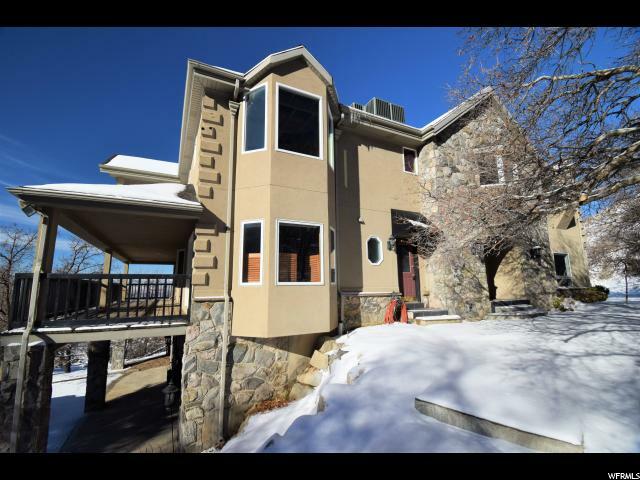 This home will have a full walkout basement and covered deck to enjoy Wasatch Mountain views! Enjoy this stunning rambler in our brand new community off Wasatch Blvd. We are just minutes away from 4 ski resorts and offer in community access to hiking and biking trails. The MICHEL plan features an open floor plan with plenty of room for entertaining family and friends. Enjoy time around your large kitchen island with professional series Jenn-Air appliances, granite counter tops, and upgraded cabinets. Or, cozy up by your included gas fireplace while you enjoy your bright great room with large windows. Your master suite is truly a retreat with its over sized shower with bench, adult height double vanity sinks and a walk in closet with plenty of room! No worries about finishing the basement later, this plan comes with a partially finished basement. All our homes come with 10 ft main floor ceilings, 9 ft. basement foundations. In addition, all our homes come with front and backyard landscaping as well as fenced back yards. This home will be built in our gated Monet neighborhood. ***Pictures are of a previously built home***"
"Enjoy this stunning Main Floor Master in our BRAND NEW community off Wasatch Blvd. We are just minutes away from 4 ski resorts and offer community access to hiking and biking trails. The PALOMA, in our Picasso neighborhood, features open floor plan with plenty of room for entertaining family and friends. Enjoy time around your large kitchen island with its Whirlpool Stainless Steel appliances (gas range included), granite counter tops, and beautiful kitchen cabinets. Or cozy up by your included gas fireplace while you enjoy your bright Great Room with its large windows. Your Master Suite is truly a retreat with its oversized shower with its optional bench, adult height double vanity sinks, and a walk-in closet with plenty of room! There is an option of replacing the office with a 2nd bedroom on the main floor. Pricing here does NOT reflect that option. Upstairs are 3 generously sized bedrooms with one of the bedrooms hosting its own bathroom! A large open loft is perfect for playtime for all ages! For a limited time, the PALOMA comes with the Basement family room fully finished!! All of our homes come with 10' main floor ceilings, 9' ceilings on the 2nd floor and 9' basement foundations. In addition, all of our homes come with front and backyard landscaping included, as well as fenced back yard. Price shown includes lot premium attached to this lot. Taxes based on Salt Lake County records. Buyer to verify all. Call today to learn more and act on our remaining home sites." "Wonderfully maintained traditional 2-story in secluded Tree Farm Estates offering spectacular mountain and valley views! This home is conveniently nestled between Big & Little Cottonwood Canyons and close to world class skiing, golf, biking, hiking trails, and minutes from shopping and freeway access. The functional floor plan includes main floor office, formal living/dining rooms, light and open kitchen w/granite counters, double ovens, newer appliances, and a casual dining area flowing to a large family room with a walk out to an amazing outdoor deck. Elegant master suite with tiled shower and separate jetted tub, and all additional bedrooms provide incredible views and loads of natural light with plantation shutters. The mostly finished basement allows room to grow and includes a daylight walkout to a fabulous yard with streams, waterfalls, stone steps, fire pit, swing, and even more stunning views! A must see to appreciate all that is offered!" " Enjoy this stunning 2-story in our BRAND NEW community off Wasatch Blvd. We are just minutes away from 4 ski resorts and offer in community access to hiking and biking trails. The SEINE features an open floor plan with plenty of room for entertaining family and friends. Enjoy time around your large kitchen island with Whirlpool stainless steel appliances, granite countertops and crafted wood cabinetry. Or, cozy up by your included gas fireplace while you enjoy your bright Great Room with 2-story height ceiling and windows. Your Master Suite is truly a retreat with its oversized shower, adult height double vanity sinks and a walk-in closet with plenty of room! Opt. main floor guest suite available in leiu of the office. 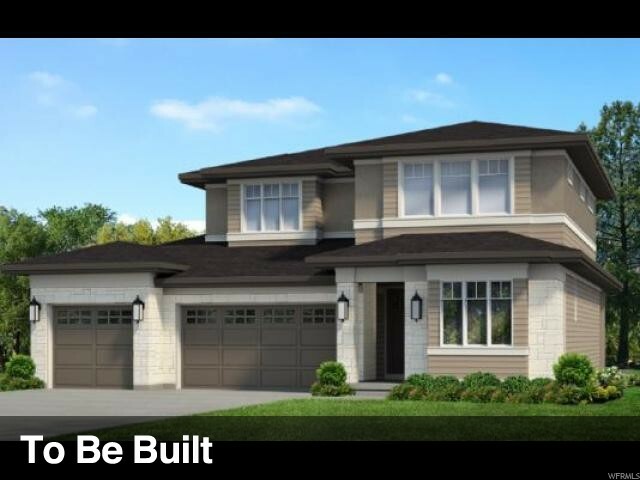 Our homes come with 10' main floor ceilings and 9' basement foundations. No worries about finishing the basement later: this plan comes with a fully finished basement! We add 1 more bedroom, a beautiful family room and a full bath. Our homes also include fully landscaped yards with automatic sprinklers and back yard fencing. 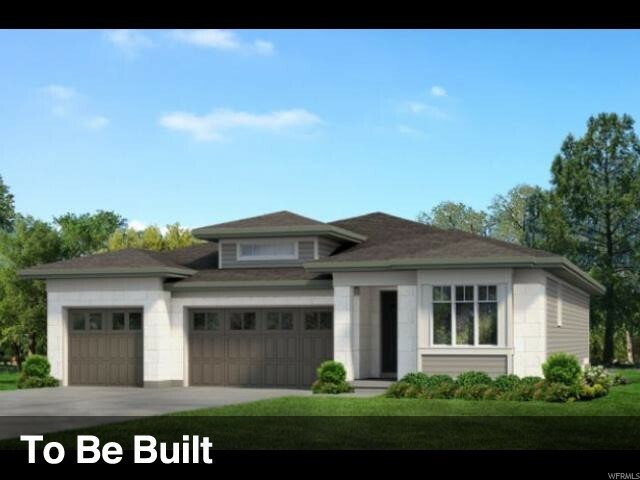 Limited lots available to build this home on...call us for details! 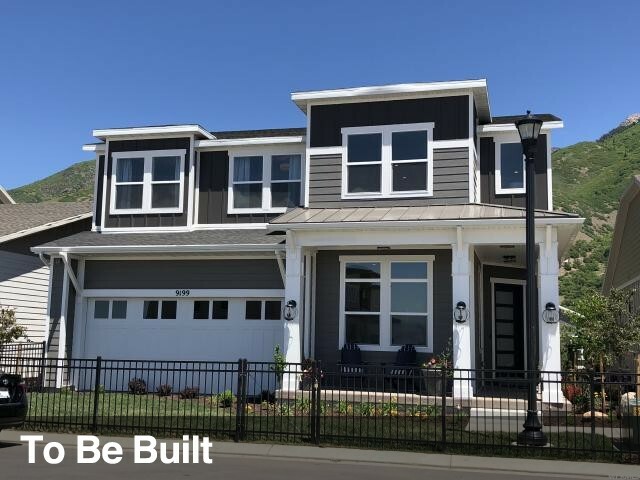 ***Pictures shown on this listing are of our decorated MODEL HOME*** "
"Enjoy this stunning rambler in our brand new community high on Salt Lake's East bench, just off Wasatch Blvd. We are just minutes away from 4 ski resorts and offer in community access to hiking and biking trails. The MAYA rambler plan features an open floor plan with plenty of room for entertaining family and friends. Enjoy time around your large kitchen island with stainless steel appliances, granite countertops, and upgraded cabinets. Or, cozy up by your included gas fireplace while you enjoy your bright great room with large windows. Your master suite is truly a retreat with its oversized shower with bench, adult height double vanity sinks and a walk in closet with plenty of room! No worries about finishing the basement later, this plan comes with a finished basement. All our homes come with 10 ft main floor ceilings, 9 ft. basement foundations. In addition, all our homes come with front and backyard landscaping as well as fenced back yards." 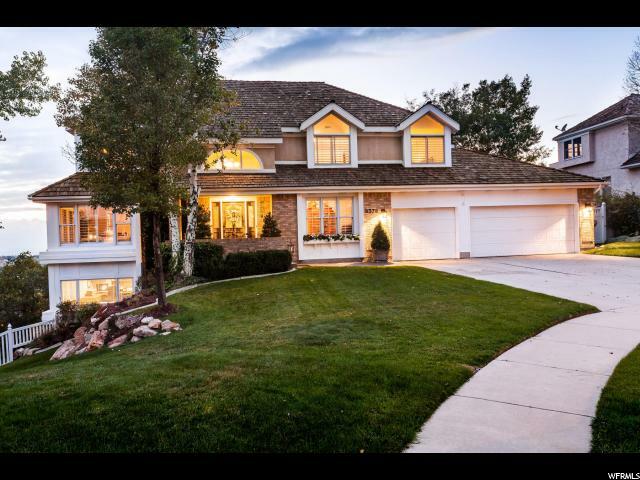 "This meticulously maintained and updated home located in the desirable Danish Springs neighborhood is situated between Big and Little Cottonwood Canyons and close to world class skiing, biking and hiking trails, golf, and fishing while just minutes away from shopping and freeway access. The home sits on a quiet and peaceful .26-acre mature fenced lot at the bottom of a cul-de-sac, well-groomed with mature trees, perennials and herb gardens. 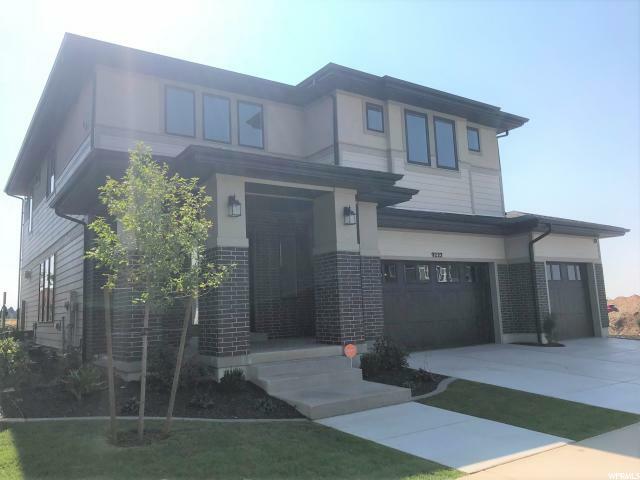 Its functional floor plan includes on the main floor an elegant entry with formal living/dining, open kitchen and family room with gas fireplace, office and updated half bath and new custom solid oak hardwood floors. The large open kitchen boasts an Electrolux dual-fuel gas range, stainless custom vented hood and backsplash, new stainless Kitchen Aid dishwasher, Samsung refrigerator and new garbage disposal. The second level includes a spacious master suite with designer renovated master bath with walk-in two head shower, dual sink soapstone vanity, adjacent walk-in closet with custom finish out , three additional spacious bedrooms, second fully renovated bathroom with dual sink vanity and luxurious shower/tub, roomy renovated laundry and new hardwoods and carpet. Entertain family and friends in the light, bright walk-out finished basement with comfortable living space, gas fireplace, wet bar and large fifth bedroom and full bathroom. Experience easy indoor/outdoor living in the secluded backyard with both a deck and patio and gas hook-up for your outdoor cooking needs. Additional features include updated Lenox HVAC, Rennai on-demand hot water heater, new LED recessed lighting throughout and all new flooring (hardwood, carpet and tile), new exterior paint and new garage doors. This is a fantastic opportunity! Pride of ownership throughout, this is a must see. " "Great central location - Beautiful home nestled between Big & Little Cottonwood Canyons, Minutes to mountain activities. Encased wood windows w/crank. Crown molding thruout mainfloor, hardwood floors in entry, kitchen and eating nook. Family room offers built in bookcase and wood burning fireplace. Kitchen has new dishwasher, granite counters. Large Master suite offers 2 huge walk-in closets with built- ins, master bath double sinks, jetted tub & separate shower with double showerheads. Downstairs huge game room, exercise, craft or storage room. An awesome workshop has internal compressed air thru out the shop, paint sink, firde, plumbing for toilet. 3 furnaces, 3 A/C units and New roof 2108 "